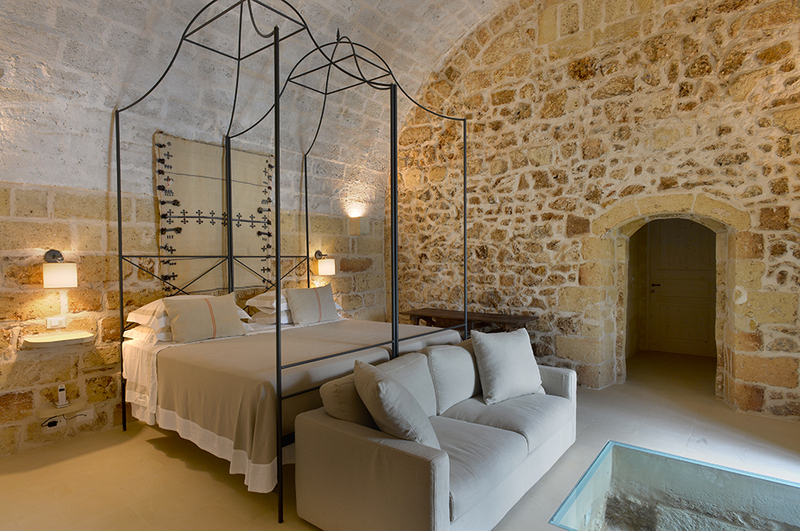 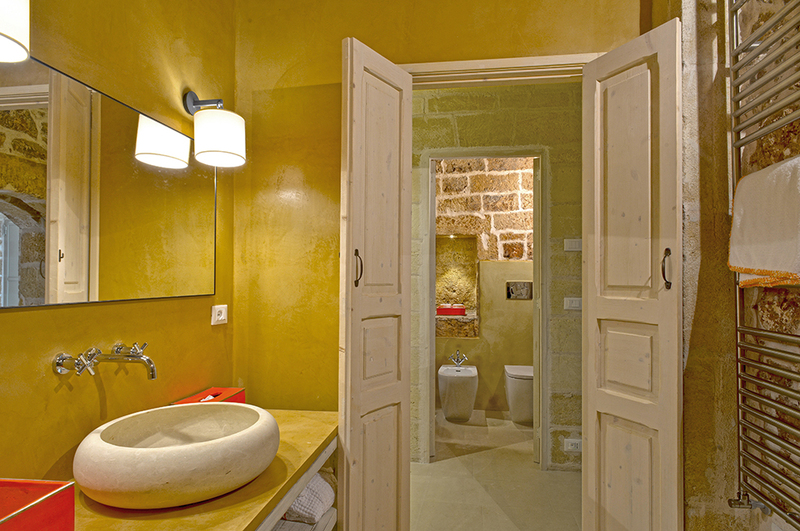 The Brown Suite is located under the vaulted roof in the oldest part of the Masseria. 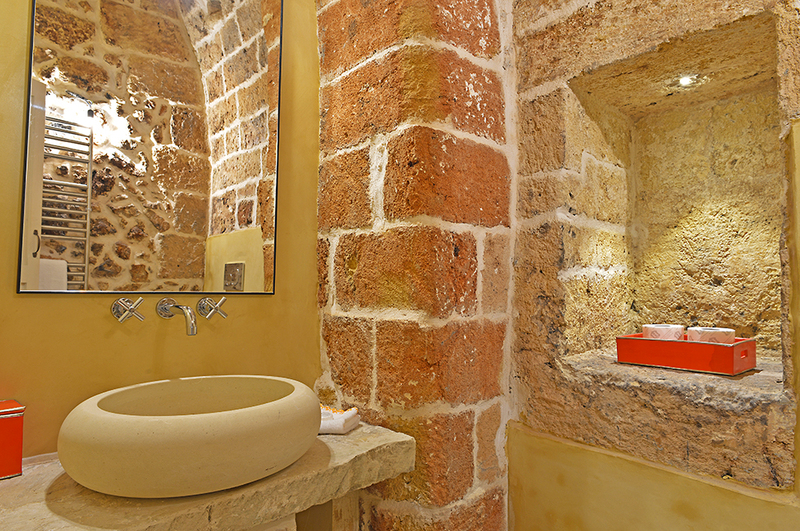 It has internal bathrooms and two separate entrances including one onto the main courtyard. 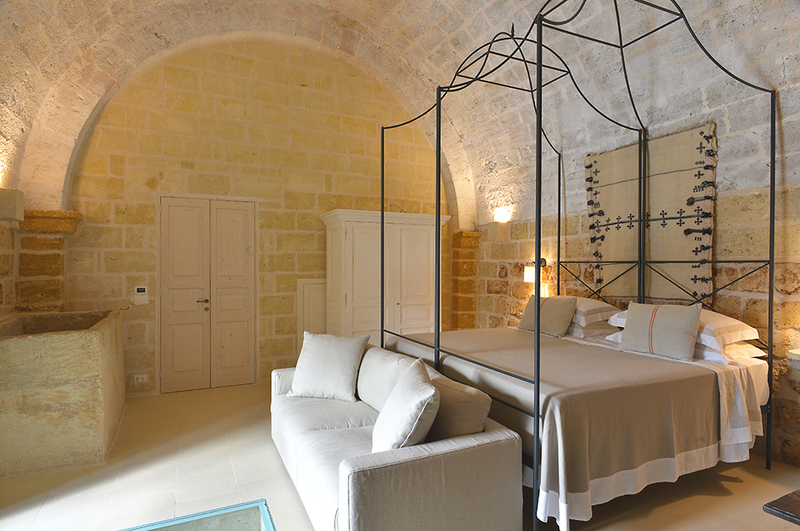 The room consists of a 2 metre by 2 metre four poster bed under a vaulted ceiling, sofa, local bespoke linens, air conditioning and heating, heated floors and towel racks. 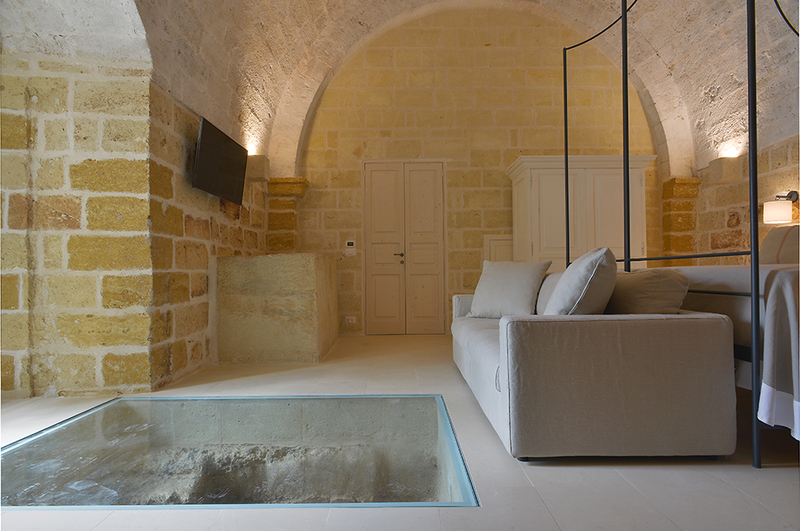 It has several USB points, Sky television (for those that want to stay connected) and a Bose mini dock portable sound dock).